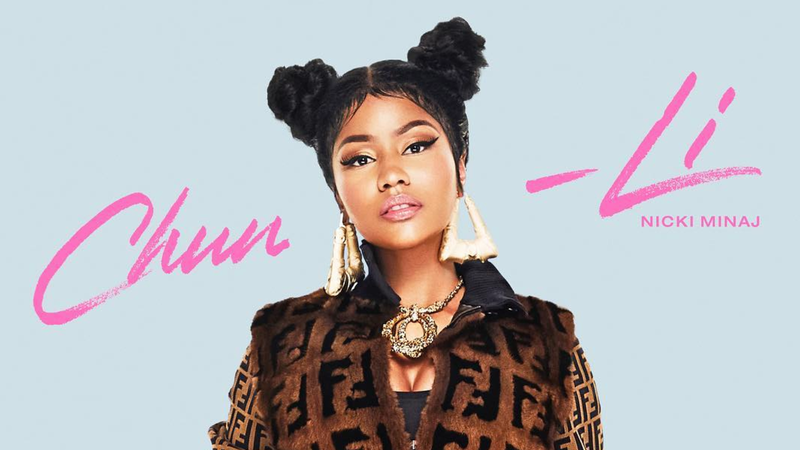 Nicki Minaj, not to be upstaged by other people and happenings in the world of music (you know what I’m talking about—Drake releasing his pandering women’s empowerment anthem) has announced two new songs via Instagram, coming this week. In the art for “Chun-Li,” she’s dressed as a Fendi-fied version of the best character in Street Fighter. In the art of “Barbie Tingz,” it’s her with a group of masked women in Victorian/Georgian regalia. This must be a relief to her fans, since Minaj had been quiet for some time, prompting TMZ to feign concern about her being missing. Well, simmer down. She’s back with not one but two different aesthetics.